I am a lucky girl. Some call it spoiled, but I like to think that I take advantage of fantastic opportunities when they are presented to me. It’s with that mind-set that I’ve found myself back in New York for the 3rd year in a row. This time around, I had great intentions of not packing my schedule full of stuff, but in the end, my meal card is full with at least 2 alternate options for each meal. Taking the red-eye from Vancouver to JFK is a challenge. With, at most, 4 hours sleep under your belt, (more like 3) there’s always a certain amount of waiting that must happen before being allowed to check-in at the hotel. We’ve gone through this every year, but in the past we’ve just found a sunny grassy patch in Central Park to sleep in. Rain was in the forecast for our morning of arrival, so we had to advance plan on ways to spend my first morning in NYC. My original thought was to go to Barney Greengrass on the Upper West Side for some smoked fish and scrambled eggs. I wanted to experience authentic Jewish deli in a way you could only get in New York. But word got out of this plan to my father in law, and his advice about the restaurant talked me out of going. Luckily I had a plan B, which I knew would be equally good in food quality, even if it lacked a bit in overall “New York” experience. 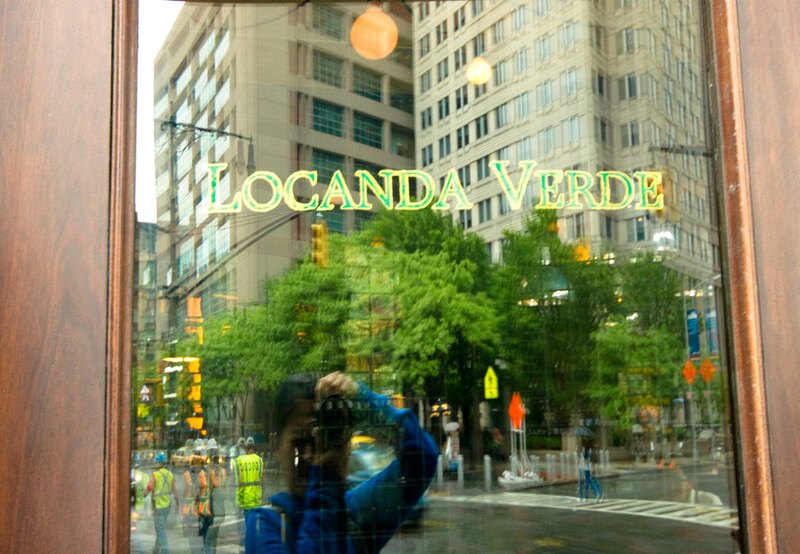 We arrived at Locanda Verde on a rainy Friday morning, eager to wander the streets of Tribeca, although the weather gods were were keeping us from doing so. Locanda Verde was on my dinner list, but in the end it didn’t make the final cut. In doing the research, I noticed that they served breakfast and that the dishes looked really good. The restaurant was the perfect place to kill an hour of our time. Service was a bit scattered and slow, but we didn’t mind because we didn’t have anywhere else to be. 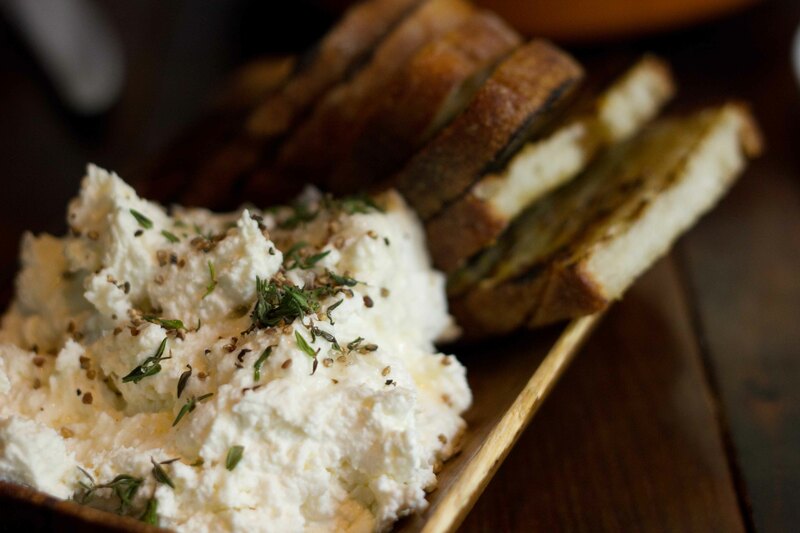 The creamy ricotta mixed with the sweet and earthy truffle butter is so good on its own, but piled high on the crispy burnt orange toast, this dish is heavenly. I had also chosen Ben’s dish in advance because, it too sounded amazing and I knew I could sell him on the word “hash”. Not your traditional breakfast hash, this dish looked a bit on the skimpy side when it came out. 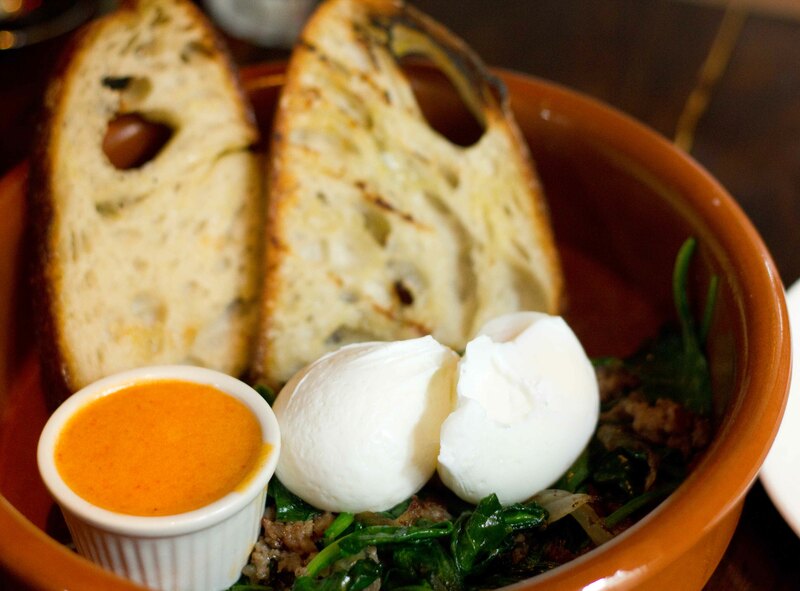 But the flavours that came from the cotechino sausage cooked in with the spinach combined with the 2 perfectly cooked soft eggs amounted to a satisfying dish. The tomato hollandaise, although not necessary to the overall dish was very good, especially as a dipping sauce to the side of crispy Niman Ranch smoked bacon I ordered.